for $159,900 with 1 bedroom and 1 full bath. This 800 square foot home was built in 1963. WHAT A GREAT COMMUNITY! FEEL LIKE YOU ARE ON VACATION YEAR ROUND. MOSTLY IMPACT WINDOWS AND DOORS, EXCEPT FOR BACK DOOR AND BEDROOM DOOR WHICH HAS SHUTTERS.NEWER KITCHEN, STAINLESS STEEL APPLIANCES, TILE FLOORS. JUST WAITING FOR YOU TO MOVE IN! 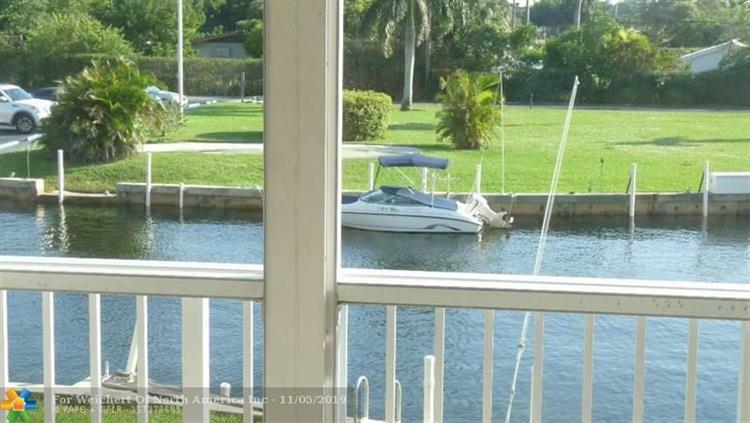 SAFE, QUIET COMMUNITY, WITH FREE BOAT DOCKAGE WHEN AVAILABLE, HEATED AND CHILLED POOLS, BARBEQUE, , AND A PRIVATE GATE TO A SPECTACULAR PARK DIRECT ON THE INTRACOASTAL W/FISHING, JOGGING AND WALKING TRAILS, GAZEBO, PICNIC TABLES, COMMUNITY GARDEN AND MORE! ENJOY YOUR PATIO LIKE NEVER BEFORE. DID I MENTION FREE LAUNDRY MACHINES? NON SMOKING BLDG! 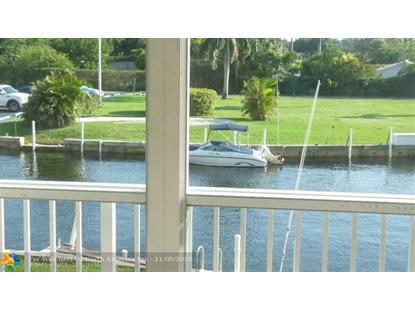 COME MAKE THIS YOUR HOME, UNIT BEING SOLD AS IS AND YOU COULD BE LIVING ON THE WATER! !